Kids will appreciate attractions like Exploratorium and Crissy Field. Dedicate the 1st (Mon) to wine at some of the top wineries in the area. There's lots more to do: explore and take pictures at Alcatraz Island, take in nature's colorful creations at Japanese Tea Garden, engage your brain at California Academy of Sciences, and examine the collection at Children's Creativity Museum. To find maps, photos, reviews, and tourist information, you can read our San Francisco trip builder . London, UK to San Francisco is an approximately 14.5-hour flight. You can also do a combination of flight and train. Traveling from London to San Francisco, you'll gain 8 hours due to the time zone difference. Expect somewhat warmer temperatures when traveling from London in March; daily highs in San Francisco reach 21°C and lows reach 11°C. Finish your sightseeing early on the 3rd (Wed) so you can travel to Las Vegas. Take a break from Las Vegas with a short trip to Hoover Dam in Boulder City, about 50 minutes away. The adventure continues: take in breathtaking views at Red Rock Canyon National Conservation Area, appreciate the extensive heritage of The Strip, see the interesting displays at The Mob Museum, and trot along with a tour on horseback. For photos, more things to do, traveler tips, and other tourist information, go to the Las Vegas trip itinerary planning website . You can fly from San Francisco to Las Vegas in 4 hours. Alternatively, you can drive. In April, Las Vegas is a bit warmer than San Francisco - with highs of 31°C and lows of 16°C. Cap off your sightseeing on the 7th (Sun) early enough to travel to Anaheim. 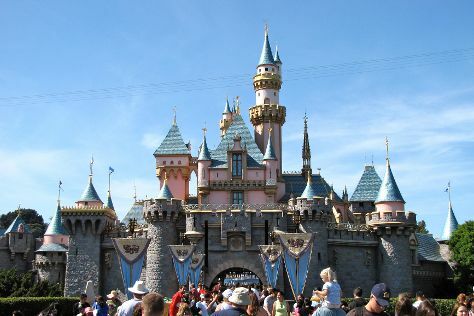 Attractions like Disneyland Park and Disney California Adventure Park make great kid-friendly stops. There's much more to do: make an unforgettable trip to Downtown Disney, get your game on at Flightdeck Flight Simulation Center, and test your problem-solving skills at popular escape rooms. To find maps, photos, reviews, and more tourist information, you can read our Anaheim route planner. Fly from Las Vegas to Anaheim in 4 hours. Alternatively, you can drive; or do a combination of flight and bus. In April in Anaheim, expect temperatures between 30°C during the day and 15°C at night. Wrap up your sightseeing on the 10th (Wed) to allow time to drive to San Diego. Family-friendly places like San Diego Zoo and Balboa Park will thrill your kids. There's lots more to do: find something for the whole family at SeaWorld San Diego, take a tour of Maritime Museum of San Diego, enjoy the sand and surf at Children's Pool, and see the interesting displays at Timken Museum of Art. To find maps, other places to visit, photos, and more tourist information, go to the San Diego day trip tool . Traveling by car from Anaheim to San Diego takes 2 hours. Alternatively, you can take a bus; or take a train. While traveling from Anaheim, expect little chillier days and about the same nights in San Diego, ranging from highs of 25°C to lows of 17°C. On the 13th (Sat), wrap the sightseeing up by early afternoon so you can travel back home.